Ringo Starr brings his All-Starr Band to Spokane in October. Beatlemania may have bitten the dust long ago, but there's still good fun to be had whenever a former Beatle comes to town. 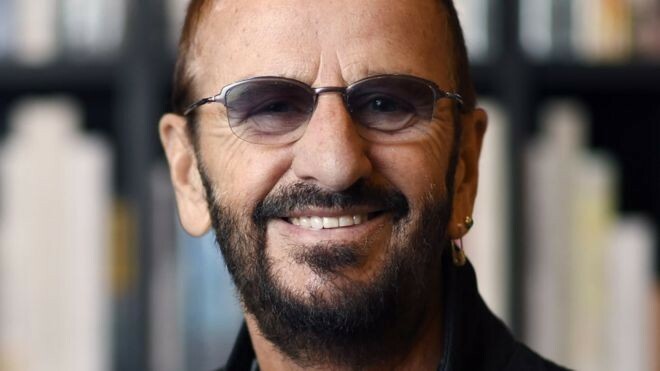 While Paul McCartney is out gallivanting through big cities and getting ready for Oldchella this fall, the only other surviving member of the Fab Four, Ringo Starr, is making the rounds with his bands of misfit classic-rock toys otherwise known as the All-Starr Band. Starr and Co. will stop at the Spokane Arena's Star Theatre — appropriate much? — for a show on Oct. 16. Tickets are $39.50, $59.50, $79.50 and $124.50, and go on sale this Friday at 10 am through all TicketsWest outlets. • Gregg Bissonnette, drummer who's played with a ton of jazz and rock bands who I'll always remember as the guy playing drums for David Lee Roth.